Six spectacular new Biorock coral reefs have been installed in June by the Global Coral Reef Alliance (GCRA) and our local partners, Qualti SA, and the Cozumel Coral Reef Restoration Program (CCRRP), in Cozumel, Mexico, the world’s most popular diving destination. 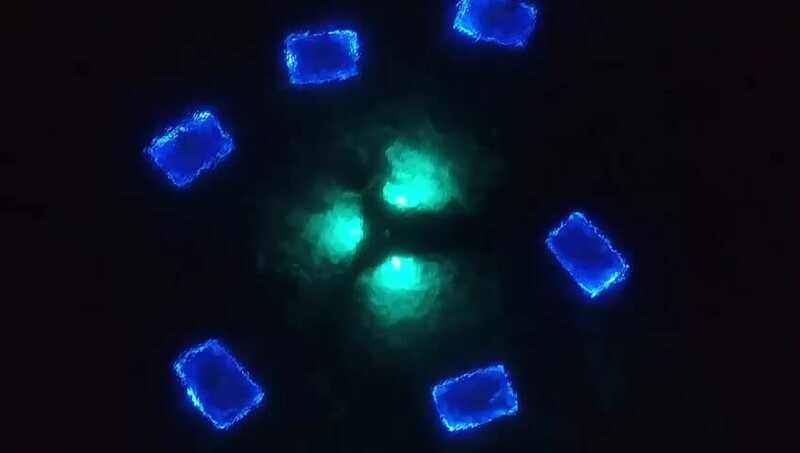 The new projects are a short swim from Sand Dollar Sports, and are illuminated at night with blue and cyan LED lighting for night time divers and snorkelers. Thousands of people swim at this site every day, located on the west shore of Cozumel, between the cruise ship piers. The six new Biorock projects were funded by Minecraft, one of the world’s most popular computer games, in conjunction of their launch of new “Minecraft Underwater Worlds”. Biorock reefs can be built in any size or shape, and greatly increase the settlement, growth, survival, and resistance of corals and all marine life to severe environmental stresses such as high temperature, sediment, and pollution. Biorock reefs survive when all around them die during severe stress events, and they grow back reefs and severely eroded beaches at record rates even where there is no natural recovery. They are therefore the last and only hope to save coral reefs from runaway global warming, global sea level rise, pollution, and human greed. 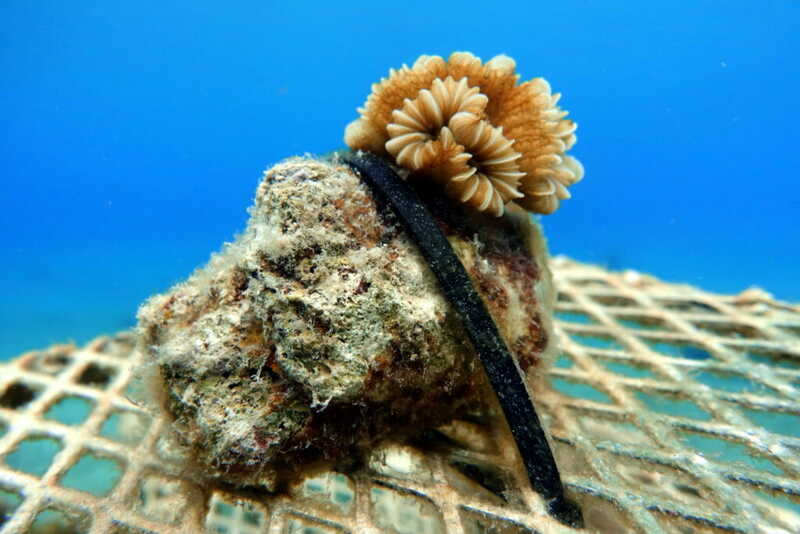 The six new Biorock reefs in Cozumel are being planted with broken coral fragments rescued from dying by the Cozumel Coral Reef Restoration Program. These reefs are shaped like Minecraft game characters, turtles, turtle eggs, and an Axolotl, Mexico’s most iconic wildlife species, a giant salamander that is nearly extinct from pollution and overharvesting for the aquarium trade and traditional purported medical uses. This was designed by high school students from Monterrey, Mexico. 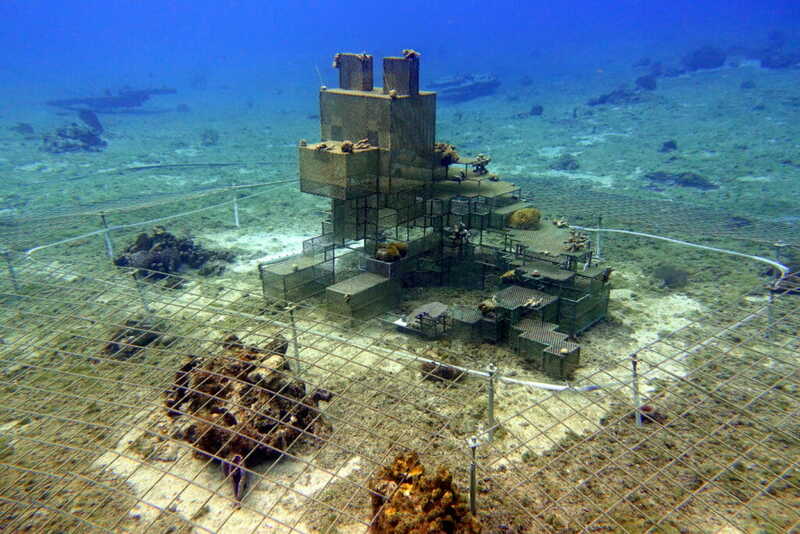 Each structure is surrounded by Biorock coral reefs on all sides onto which the Cozumel Coral Reef Restoration Program is transplanting severely injured broken corals rescued from tourist diving reefs. Cozumel is the most popular diving destination in the world, but the coral reefs there, like those all around the world, have been steadily dying back because of global warming, algae overgrowth caused by sewage pollution, new diseases, physical damage caused by divers, and cruise ship propellers stirring up sediments. The new Cozumel Biorock coral reef regeneration projects are a first step to bring back Mexico’s vanishing corals and fish populations and build a better and more sustainable future. As the corals grow at exceptional rates, fishes and all forms of marine life will swarm around them. 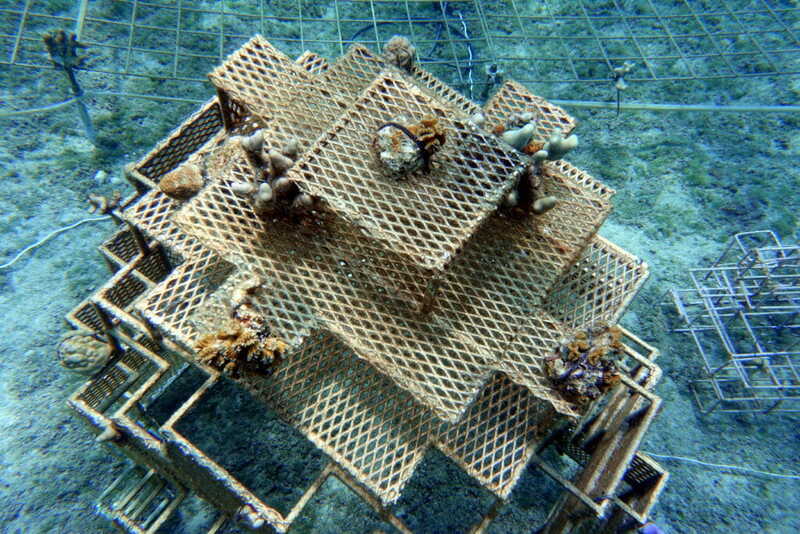 Coral transplantation has already started and will continue over the years to come. They will be spectacular at night, lit by blue and cyan LEDs, which attract swarms of fish and plankton. GCRA, CCRRP, and Sand Dollar Sports will be posting many spectacular photographs and videos of these projects over the years to come. Please look at them on our web sites and better yet, come to Cozumel and see them for yourself! People who don’t see our spectacular coral reef restoration projects simply can’t believe that they are possible!